The 3D media movement is quickly picking up steam as the technology becomes more accessible and virtual reality platforms crop up and improve the overall experience. 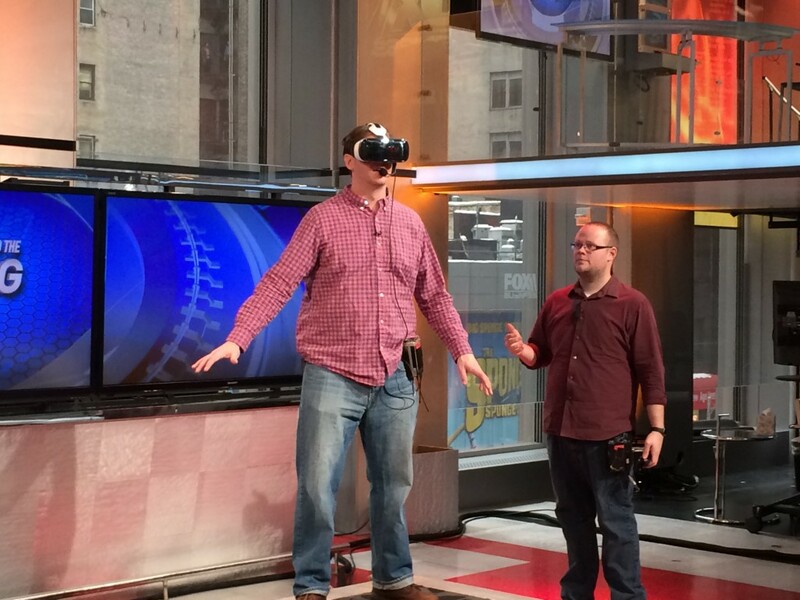 We had a great time on live TV as Fox Business News took Matterport 3D Showcase for a spin on January 29, 2015. In a segment on Countdown to the Closing Bell with Liz Claman, Matterport CEO Bill Brown discussed Matterport’s accessible, affordable 3D modeling technology, its applications in real estate and other industries, and Matterport’s vision for the future of 3D content. If you missed us on Fox, check out the segment below. Seeing the behind-the-scenes operation of a major business news program was a unique experience for the Matterport team. The production was quite impressive! Prominent guests disappeared from the Green Room to reappear moments later on live TV. Hats off to the Fox Business News team for their quick organization and execution of our segment, integrating live footage with off-camera video on the fly. Amazing! It was also a great chance for Matterport to help spread the word about the power of 3D media, and we believe it’s an early step in the proliferation of a new 3D visual medium. One of the key benefits of Matterport’s 3D Showcase is its ability to provide the feeling of moving through a real-world space. Matterport’s unique platform creates a complete three-dimensional model of a location, providing greater realism and flexibility over typical panoramic photography or video virtual tours. When combined with the Samsung Gear VR virtual reality headset, Matterport VR content can be viewed in stereoscopic virtual reality, providing the ultimate in total immersion, akin to actually being transported to another place. Tech-forward brokers and agents already see the advantage of adding 3D Showcases to their online listings to provide prospective buyers with a completely immersive sense of being in a space, and exploring it as if they were there. 3D Showcase is a great tool for promotion of any space currently using 2D photography, like art galleries and event venues. Matterport is glad to be on the frontier of easy 3D content creation for the real world. Real estate is but one of the many applications of this evolving technology, but soon, we will start to see other industries adopt this media format and use it to change the way business is done.